AppsAnywhere from Software2 is the world's only app store dedicated to higher education, used and loved by students, colleges and universities across the globe. 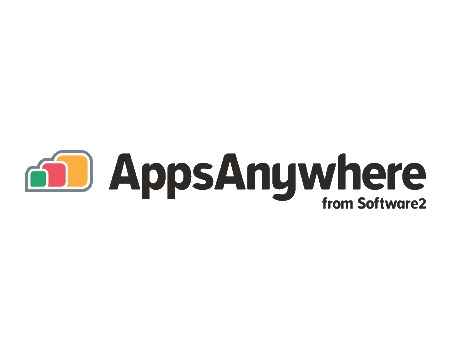 AppsAnywhere is a super-cool software deployment and delivery solution. It offers a friendly way for students to get better technology and learning experience, by integrating with a variety of application delivery tools and by using leading application virtualization software; the only solution on the market capable of delivering 100% of software applications on-demand. Our solution combines the IT department’s vision with the 21st century student’s expectations: to be able to access any app on any device, at anytime and anywhere, both on and off campus. It transforms the student experience and allows the university to take advantage of true BYOD (bring your own device), on both Windows and Mac, whilst reducing the overheads associated with traditional solutions like Virtual Desktop Infrastructure (VDI). AppsAnywhere is used and loved by more than 1.5 million students in 150 higher education establishments across North America and Europe. To date, 15 apps are launched by university students and staff through AppsAnywhere every second, worldwide!